A risell squid found in Twisted Aqua Road. It's basically a stronger version of a Risell Squid from regular Aqua Road. 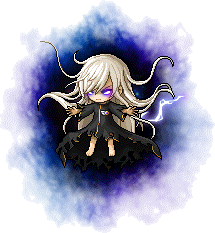 A spirit of rage, formed in Arcane River, a dimension where the Black Mage was able to merge Maple World, Grandis, and FriendStory. Found at the Vanishing Journey's Lake of Oblivion, an area which requires 30 Arcane Power to deal full damage. Attacks by jumping and pounding the ground. A squishy black slime with an octopus on its head, found in Twisted Aqua Road. It's a reskinned version of Seashell Octopus Slime from Gold Beach and Octobunny from Singapore. Solitude that has manifested into the form of a sword of darkness. Found in Kritias's Forest of Sorrows. An android found near Edelstein's Scrapyard. A spirit of sorrow, formed in Arcane River, a dimension where the Black Mage was able to merge Maple World, Grandis, and FriendStory. Found at the Vanishing Journey's Lake of Oblivion, an area which requires 30 Arcane Power to deal full damage. Attacks by firing a projectile at you. A rocky, centipede-like monster found in Twisted Aqua Road. It attacks by smashing the ground with the front of its body. It's a reskinned version of a Stone Bug from Ellin Forest. A ghost pirate found in Twisted Aqua Road. 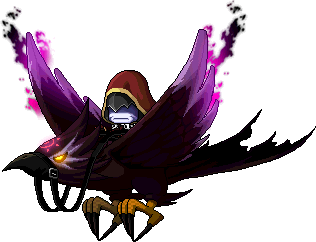 It's a reskinned version of a normal Ghost Pirate from Ludibrium's Clocktower. A spirit of joy, formed in Arcane River, a dimension where the Black Mage was able to merge Maple World, Grandis, and FriendStory. Found at the Vanishing Journey's Lake of Oblivion, an area which requires 30 Arcane Power to deal full damage. Attacks by dropping water from its antlers. A pink shark found in Twisted Aqua Road. It's a reskinned version of a Shark from regular Aqua Road. A blue pointy shark found in Twisted Aqua Road. It's a reskinned version of a Cold Shark from regular Aqua Road. Terror that has manifested into the form of nunchuks of darkness. Found in Kritias's Forest of Sorrows. A red android found near Edelstein's Scrapyard. It can cast a debuff to slow the player, as well as fire its rifle at you. 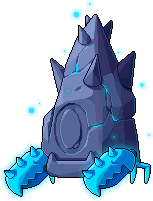 A crab-like spirit made of stone, formed in Arcane River, a dimension where the Black Mage was able to merge Maple World, Grandis, and FriendStory. Found at the Vanishing Journey's Extinction Zone, an area which requires 40 Arcane Power to deal full damage. Attacks by smashing its claws into the ground. A phantom watch found in Twisted Aqua Road. It's basically a stronger version of a Phantom Watch from Ludibrium's Clocktower. 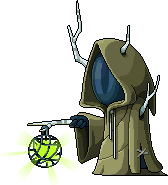 A magician found in Kritias's Corrupted Magic Forest 2, accessed from Forest of Laments 2. Attacks by firing magic at you. A spirit made of fire, formed in Arcane River, a dimension where the Black Mage was able to merge Maple World, Grandis, and FriendStory. Found at the Vanishing Journey's Extinction Zone, an area which requires 40 Arcane Power to deal full damage. Attacks by hitting you with its flames. A small sea ghost found in Twisted Aqua Road. It's a reskinned version of Seaman Recruit Ghost from the Sea of Fog PQ and Slimy from Singapore. Rage that has manifested into the form of a hammer of darkness. Found in Kritias's Forest of Sorrows. A red canine android found near Edelstein's Scrapyard. Fires a laser cannon out of its mouth. A bug-like spirit, formed in Arcane River, a dimension where the Black Mage was able to merge Maple World, Grandis, and FriendStory. Found at the Vanishing Journey's Extinction Zone, an area which requires 40 Arcane Power to deal full damage. Attacks by curling up into a ball and pounding the ground. A big sea ghost found in Twisted Aqua Road. It's a reskinned version of Lieutenant Commander Ghost from the Sea of Fog PQ and Mr. Anchor from Singapore. A hooded spirit, formed in Arcane River, a dimension where the Black Mage was able to merge Maple World, Grandis, and FriendStory. Found at the Vanishing Journey's Cave of Repose, an area which requires 60 Arcane Power to deal full damage. Attacks by tossing its lantern into the ground. When defeated, a Lantern Erda will spawn in its place. A fish skeleton found in Twisted Aqua Road. It's a stronger version of a Bone Fish from regular Aqua Road. Anxiety that has manifested into the form of a bow of darkness. Found in Kritias's Forest of Sorrows. A blue android found near Edelstein's Scrapyard. It can cast a debuff to slow the player, as well as fire its rifle at you. 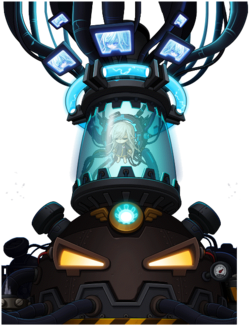 A lantern spirit, formed in Arcane River, a dimension where the Black Mage was able to merge Maple World, Grandis, and FriendStory. Found at the Vanishing Journey's Cave of Repose, an area which requires 60 Arcane Power to deal full damage. Attacks by firing a projectile at you. Appears after a Tranquil Erda is defeated. A fast-flying version of Lantern Erda. Found in every hunting ground at Vanishing Journey. These will automatically follow you upon entering a map and deal 10% of your HP as touch damage, as well as lock your ability to use potions, so don't go AFK! Reappears 5 minutes after being defeated. A dinosaur made of bones found in Twisted Aqua Road. It's a stronger version of a Skelegon from Leafre's Dragon Nest. A worm-like creature that serves as a minion to Arma. Found at the Vanishing Journey's Cave of Repose, an area which requires 60 Arcane Power to deal full damage. A stronger version of Joyful Erda Found at the end of Vanishing Journey's Lake of Oblivion in Hidden Lakeshore, a map which requires 80 Arcane Power to deal full damage. A stronger version of Soulful Erda Found at the end of Vanishing Journey's Extinction Zone in Hidden Fire Zone, a map which requires 80 Arcane Power to deal full damage. A stronger version of Arma's Follower Found at the end of Vanishing Journey's Cave of Repose Zone in Hidden Cave, a map which requires 80 Arcane Power to deal full damage. A pink version of Dodo found in Twisted Aqua Road. 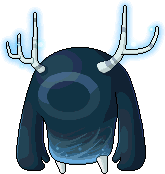 It has only one horn compared to its original form with three horns, does not wear a helmet, and has an angry expression. It uses skills similar to Dodo with the exception of them being buffed. A purple version of Leviathan found in Twisted Aqua Road. It uses skills similar to Leviathan with the exception of them being buffed. Like Leviathan, it can summon Red Wyverns. A giant worm-like creature that Rino attempts to feed you to. Found at the Vanishing Journey's Cave of Repose, an area which requires 60 Arcane Power to deal full damage. A corrupted skelegon found in Twisted Aqua Road. It's a stronger version of a Corrupted Skelegon from Leafre's Past. Be careful, as it deals very high damage, going up to 23,000. A corrupted tree sap monster found near the lower stems of the Dark World Tree. Attacks by creating a giant fist, slamming it into you. A fast-flying imp that follows you upon entering a map. Found near the lower stems of the Dark World Tree. These will automatically follow you upon entering a map and deal 10% of your HP as touch damage, as well as lock your ability to use potions, so don't go AFK! Reappears 5 minutes after being defeated. A fast-flying demon riding an eagle, that follows you upon entering a map. Found near the middle to upper stems of the Dark World Tree. These will automatically follow you upon entering a map and deal 10% of your HP as touch damage, as well as lock your ability to use potions, so don't go AFK! Reappears 5 minutes after being defeated. Vanity that has manifested into the form of a staff of darkness. Found in Kritias's Forest of Sorrows. A magician found in Kritias's Corrupted Magic Forest 3, accessed from Forest of Sorrows 5. 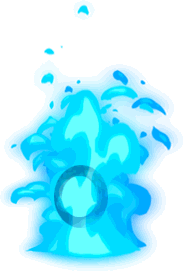 Attacks by firing a magic orb at you. A blue canine android found near Edelstein's Scrapyard. Fires a laser cannon out of its mouth. A flying red robot that follows you upon entering a map. Moves very slowly, but does 15% HP touch damage. Found on the Skyline, Black Heaven Deck, and the Black Heaven Interior near Edelstein's Scrapyard. Reappears as Blue Dynamo 5 minutes after being defeated. A flying red robot that follows you upon entering a map. Moves very slowly, but does 15% HP touch damage. Found on the Skyline, Black Heaven Deck, and the Black Heaven Interior near Edelstein's Scrapyard. Reappears as Yellow Dynamo 5 minutes after being defeated. A flying red robot that follows you upon entering a map. Moves very slowly, but does 15% HP touch damage. Found on the Skyline, Black Heaven Deck, and the Black Heaven Interior near Edelstein's Scrapyard. Reappears as Green Dynamo 5 minutes after being defeated. A flying red robot that follows you upon entering a map. Moves very slowly, but does 15% HP touch damage. Found on the Skyline, Black Heaven Deck, and the Black Heaven Interior near Edelstein's Scrapyard. Reappears as Red Dynamo 5 minutes after being defeated. A fusion of a banana and a ewe (a female sheep), formed in Arcane River, a dimension where the Black Mage was able to merge Maple World, Grandis, and FriendStory. Found at Chu Chu Island's Five-Color Hill, an area which requires 100 Arcane Power to deal full damage. Attacks by slamming its front legs into you. A purple version of Pianus found in Twisted Aqua Road, and a stronger version of Pianus that can also summon Bloody Booms and uses same skills as a normal Pianus, however her HP is pretty weak for her level, thus making it the weakest level 210 boss in the game. She also claims she is queen of the seas, as evidenced by her text bubbles. Unlike Pianus, however, Antoinette is an area boss, rather than a lore boss. Their appearance is also different, as Antoinette is purple, and Pianus is orange, much like the Silent Crusade Pianus. Also, instead of an X-shaped scar like Pianus, it has Arkarium's insignia, a menacing eye. The first phase of normal Lotus, where he is encased in the core and is powering the Black Heaven. For more information on the boss battle, visit this page. The second phase of normal Lotus, where he is freely attacking. For more information on the boss battle, visit this page. The third phase of normal Lotus, where he is at his full power and enraged. For more information on the boss battle, visit this page. The first phase of normal Damien, where he is attacking the player with his sword freely flying around. For more information on the boss battle, visit this page. 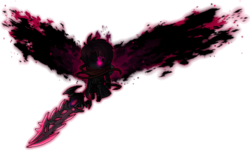 The second phase of normal Damien, where he has been corrupted by the power of the Spirit of Vengeance. For more information on the boss battle, visit this page. The first phase of hard Damien, where he is attacking the player with his sword freely flying around. For more information on the boss battle, visit this page. The second phase of hard Damien, where he has been corrupted by the power of the Spirit of Vengeance. For more information on the boss battle, visit this page. The first phase of hard Lotus, where he is encased in the core and is powering the Black Heaven. For more information on the boss battle, visit this page. The second phase of hard Lotus, where he is freely attacking. For more information on the boss battle, visit this page. The third phase of hard Lotus, where he is at his full power and enraged. For more information on the boss battle, visit this page. This page was last edited on 17 March 2018, at 04:44.